Yrd. Doç. Dr., Ahi Evran Üniversitesi Tıp Fak, Göz ABD, Kırşehir, Türkiye Purpose: To investigate vitamin D levels in patients with age related macula degeneration (AMD). 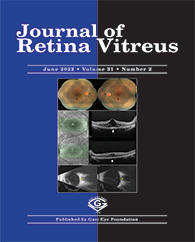 Materials and Methods: 26 dry AMD and 25 wet AMD totally 21 patients with AMD follow-up and age-gender matched 34 healthy control were included in the study. Vitamin D levels of all participants were measured. Comparisons among Vitamin D levels were performed by paired t test.